The 80s poster child... This car was the must-have wall accessory thanks to its jaw dropping looks, outrageous performance and unbelievable wail from its V12 engine. 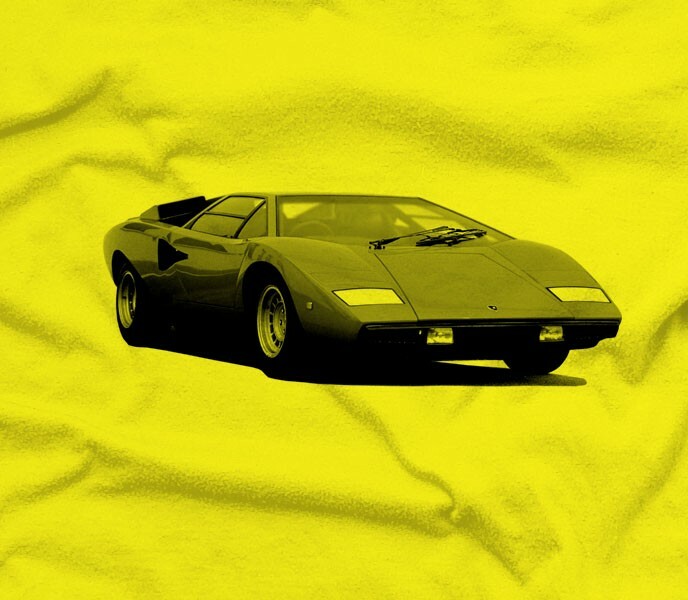 The Countach was a mid-engined sports car produced by Italian automaker Lamborghini from 1974 to 1989. Its design both pioneered and popularized the wedge-shaped, sharply angled look popular in many high performance sports cars. The "cabin-forward" design concept, which pushes the passenger compartment forward in order to accommodate a larger engine, was also popularized by the Countach. 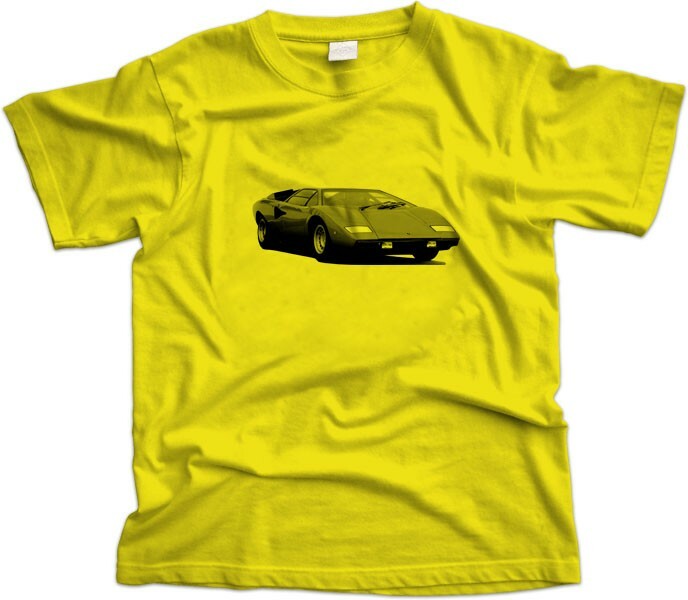 But the car really came to fame in the 1981 movie ‘The Cannonball Run’, however, for this t-shirt we’ve picked the retro smooth look to show it off best.